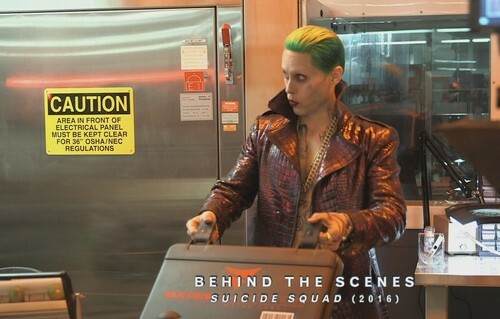 Jared Leto as The Joker ~ Behind-The-Scenes. 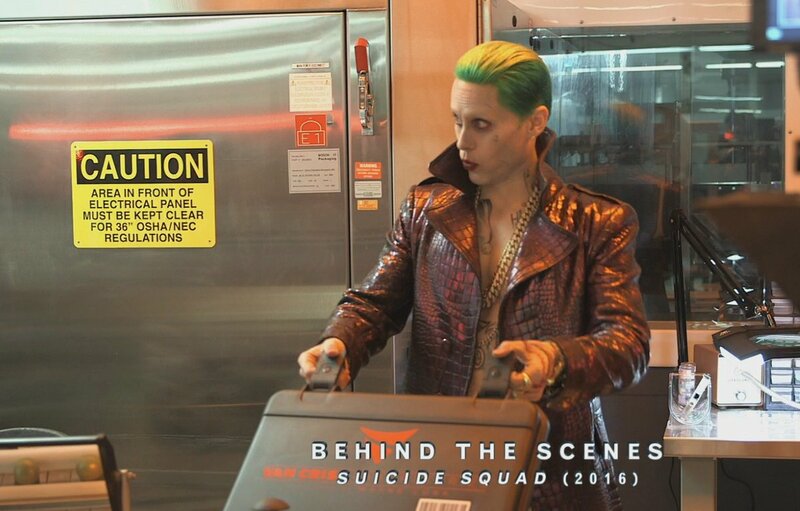 Screencap from a behind-the-scenes 'Suicide Squad' feature included in the 'Batman VS Superman: Dawn Of Justice' Ultimate Edition.. HD Wallpaper and background images in the Suicide Squad club tagged: photo suicide squad 2016 movie film the joker joker jared leto behind the scenes batman vs superman dawn of justice ultimate edition screencap image. This Suicide Squad photo might contain 기호, 포스터, 텍스트, 칠판, 사인, 서명, 식당, 신사복, and 비즈니스 정장.